Here is a little something you may not know about me: I love tacos. I love tacos for breakfast, lunch, and dinner. There is something about that crispy crunch, savory filling, and creamy accompaniments that satisfies my hunger. Growing up, one of my aunts would often treat me to dinner at a little tiny restaurant in Panama called La Mexicanita. It was so small and we went so often that it was the kind of place where they knew us by name. 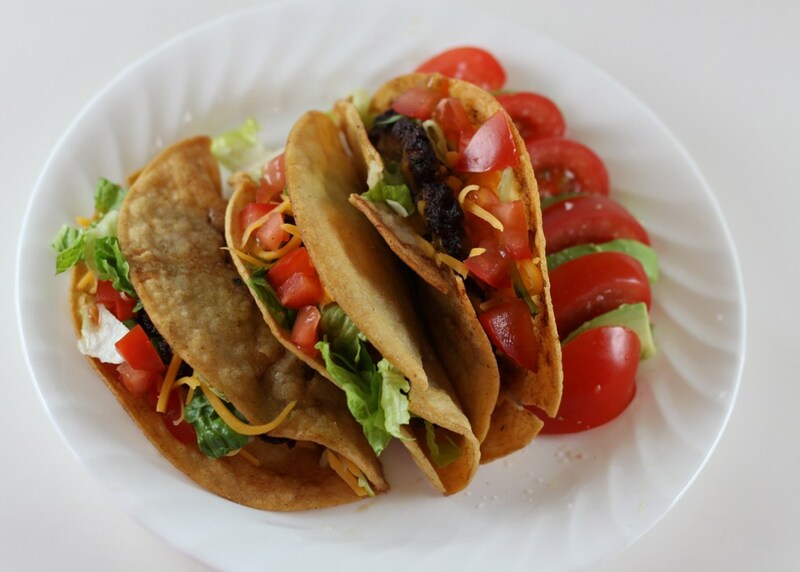 They prepare simple homemade Mexican dishes that are full of flavor. Then, while I lived in California, I discovered fish taco carts. I was in love. I moved to DC and went to the “Mexican” restaurants in town to get my taco fix. Tacos here were nothing like the straightforward, well seasoned, homemade tacos I had gotten used to. I was looking for home-made tortillas, freshly made guacamole from ripe avocados, well seasoned meats for filling or fresh grilled fish, and a little plate of crema on the side. I was appalled when I realized that they were serving meats that tasted like pre-packaged taco mix, sour cream instead of crema, and pre-made packaged guacamole instead of the real thing. Don’t get me wrong, I’m not saying that there are no decent tacos to have in DC. It just took me a long time to find them. One day @DistrictTaco came along to Rosslyn, where I work. I have to confess that I’ve eaten there more times than I’d like to admit. I’ve never eaten tacos from a cart in Mexico, but I imagine that they would serve something like what Distric Taco serves. 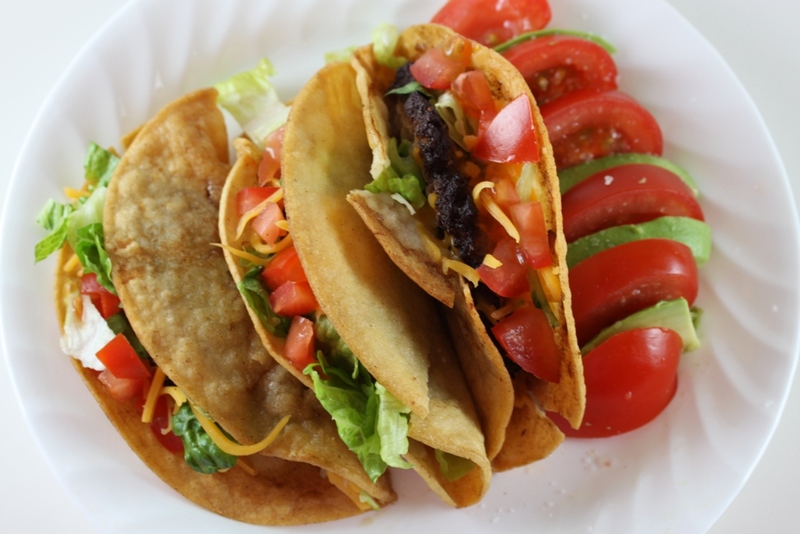 I promise I’m getting to the point of this post: Finally, yesterday I read Alejandra’s (@frijolita) post at One Bite At A Time about her mom’s tacos. After I was done reading, I knew I had to try making them… I had to try making them right away. (I’ve already mentioned I love tacos, right?) So I went home and I did just that. 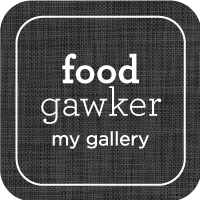 Alejandra’s post gives you something far better than a recipe, she gives you a method. She showcases her mom’s technique for making crispy beef tacos. I have four words for you: Go Make Them Now. What is so great about this method, you ask? The beef is fried right inside the taco shell! You can season the beef with whatever you like, and you should season it well because that beef is the heart of your taco. Now, the body of your taco is the tortilla. I completely agree with Alejandra in that white corn tortillas are best. I don’t know why, I just think they taste better than yellow corn tortillas. So this is what I did: to 1lb of ground beef I added, 1/2 a small minced onion, 1 large minced clove of garlic, some ground coriander, garlic powder, onion powder, ground cumin, ground black pepper, a dash of chipotle tabasco, and quite a bit of salt. This mixture was enough to make six tacos. Now, I followed Alejandra’s instructions on her post. I served them with shredded lettuce, chopped tomatoes, shredded cheddar cheese, and a side of tomato/avocado salad. I only wish I had some crema on the side, but there’s always next time. 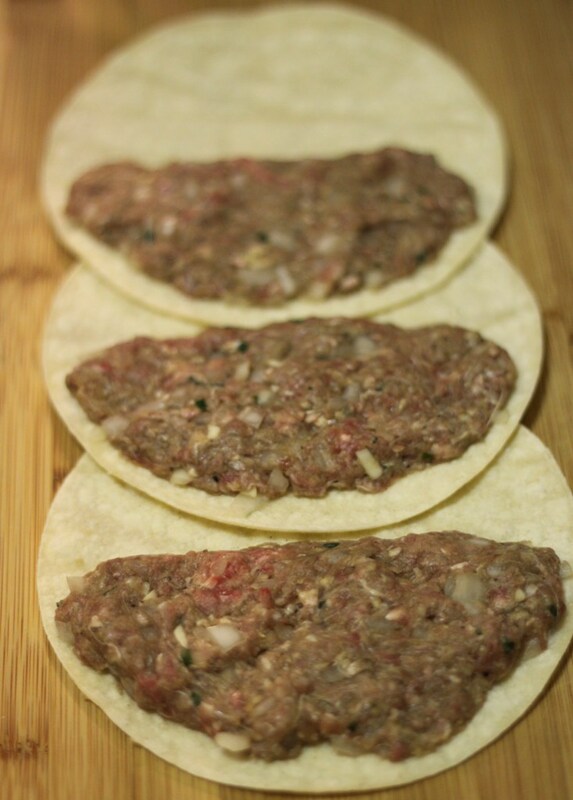 Now, go make some crispy fried ground beef tacos! I think you were the first person to go home and make these! They look great…and I like the addition of the chipotle Tabasco. My Dad would totally approve! even though we all are from Southern Ca. My grampa made these all the time, he had 12 kids and this was economical during those times, we all lived in Southern California. I’ve never run into anyone else that made their tacos this way, which in my opinion, is the best way! My grandparents were Spanish, btw, I found a lot of our family recipies are pretty unique.